Read This Before you visit a hair transplant surgeon! There’s nothing more discouraging than looking in a mirror and realizing how little hair you have left. Before signing up for an expensive transplant procedure, you should be aware that there are several steps you can take to help you restore your hair and your confidence! Opt for a warm shower. Hot water dehydrates strands which lead to dry, brittle hair that’s more prone to snap and fall out. You wash your hair’s protective oils down the drain and the heat throws your scalp’s pores into overdrive to keep up with oil production, which will damage the root. Corn rows, weaves, and tight pony tails are the common culprits in traction alopecia, which occurs when an external factor pulls out hair by the follicles. To prevent this form of hair loss, patients should simply avoid wearing these types of hair styles. Always apply a heat-protection spray, which creates a thermal barrier to reduce friction. Scorching temperatures damage the proteins that make up your hair and its protective cuticle. Disrupting the balance and making your hair more prone to breakage. Telogen effluvium is a hormonal disorder that can cause hair to shed rapidly. A typical cause is a hormonal imbalance usually triggered by stress. Avoiding or reducing stress can help prevent this type of hair loss. Fortunately, there is now a solution that is clinically proven to regrow hair without spending thousands on costly procedures and transplants. Apiria Science’s iGrow hair restoration system features an FDA cleared laser light technology that adds energy to hair follicles and regenerates hair growing cells. This laser concentrates light waves of a specific energy into a beam of colored light. Humans can see a range of energy as colored light, known as the visible light spectrum. iGrow uses light from the red end of this spectrum, which has been proven to stimulate body tissues to increase cellular energy. The iGrow helmet’s laser light technology stimulates hair follicles in transitional and resting phases of the growth cycle to complete these phases more rapidly. Once these phases are complete, the hair follicles are available to take part in an actively growing phase, which is stimulated to produce thicker, fuller, shinier, and healthier looking hair. 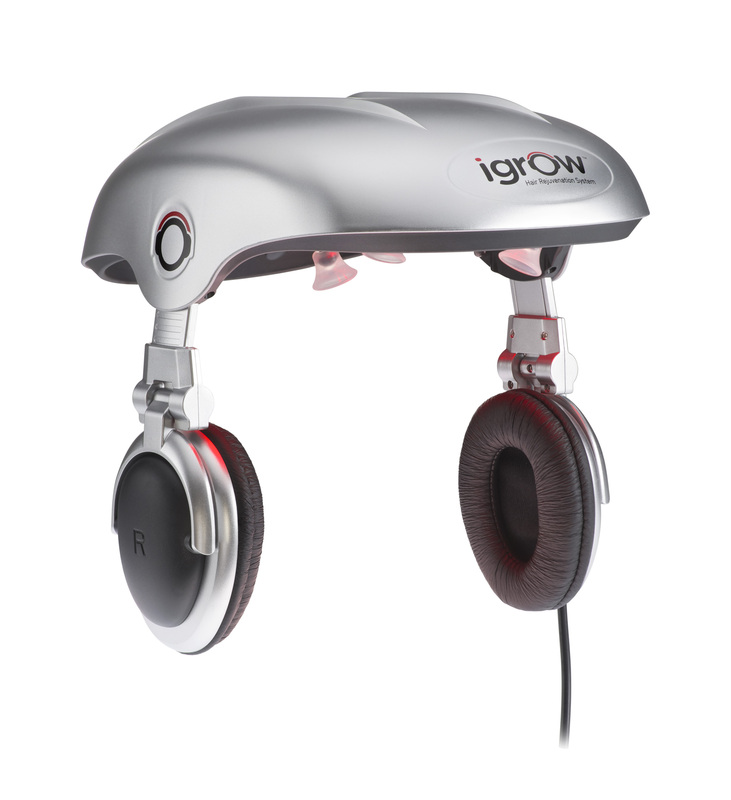 After using iGrow for 20-25 minutes a day over the course of 6 month, 100% of all clinical test participants saw hair regrowth. · iGrow’s volumizing shampoo and conditioning spray. Buy now to restore your hair and your confidence!